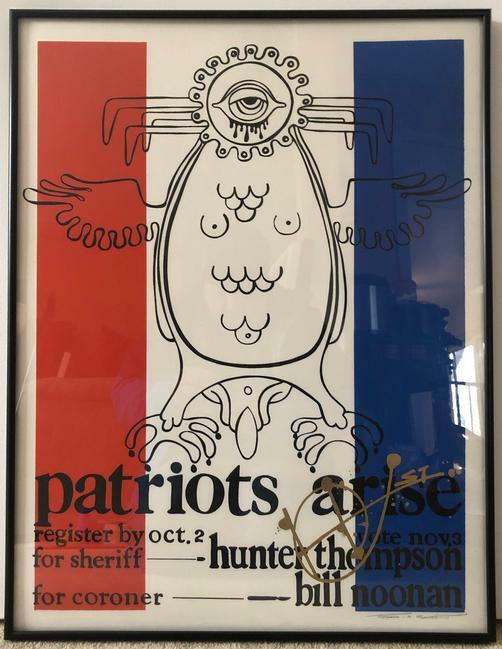 Original first printing of the Hunter S. Thompson "Patriots Arise" poster by the late Aspen artist Tom Benton. Poster measures 20 x 26 inches. 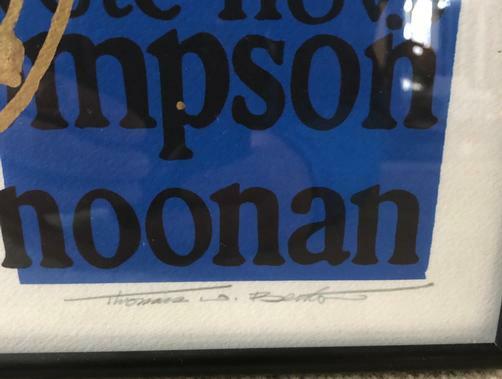 Poster was created to promote Thompson's bid for Sheriff in 1970. 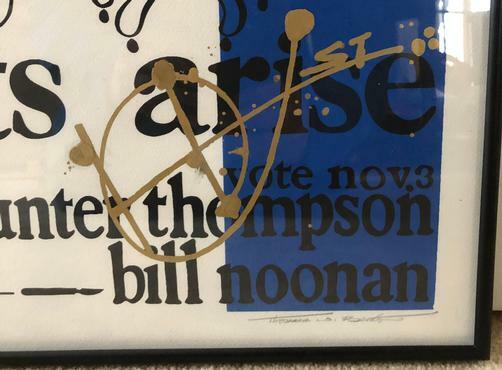 Hand-signed by Hunter S Thompson in gold paint pen, and Thomas Benton in pencil. Poster is dry-mounted on foam core. It can ship with or without the customer frame. Includes a Certificate of Authenticity.